Customers’ expectations are continuously changing, what your customers and client expect today is different from what they wanted some years ago. So as a marketer, we need to focus on our lead generation strategies or ideas in order to fulfill customer demands and generate a lead. Generating high quantity as well as high-quality leads is the most important goal of any business. You may have the best product but without B2B lead generation best practices you’ll soon run out of business. 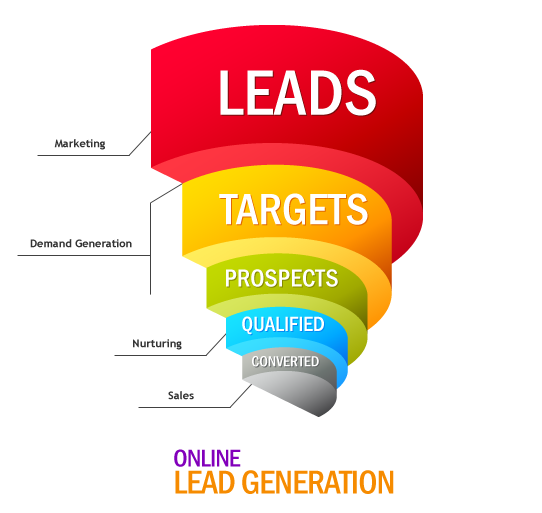 If you’ve been in the trenches for a while, you know that lead generation can be tedious. In fact, as per a recent study by IDG, 61% of B2B marketers think that generating high-quality leads is one of their biggest challenges. The lead generation process is tough because of emerging technologies. One of the reasons why it’s challenging is because most marketers only rely on traditional methods, they aren’t using proven lead generation marketing strategies, or, they’re not consistent. They give up too soon. In this article, I’ll show you the 20 simple lead generation practices you can implement right now to drive leads into your sales funnel, and convert them into paying customers gradually. With these lead generation strategies and ideas, you will actually reach your lead generation goals. It all starts with knowing your audience. To create a great product or a high-quality content that will resonate with your audience and convert them from visitors to lead, you must know them and their pain points. 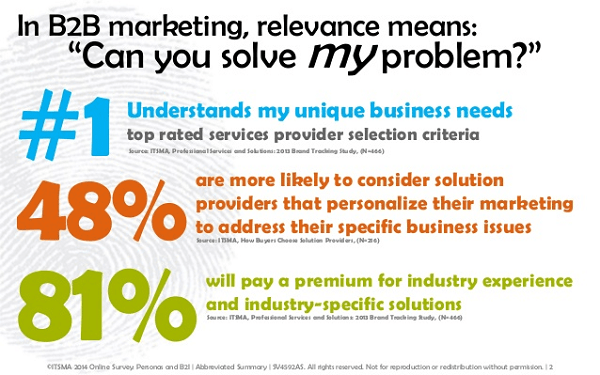 Recent studies have shown that 48% of buyers are more likely to consider solutions that are personalized to address their specific business issues. How do you know them? By creating the right buyer persona for your target audience buying cycles. If you make the wrong buyer personas, your conversion rate will be poor. Why? Because these people don’t need your product; it’s not what they’re looking for—it doesn’t matter how great the product is. So, it goes without saying that creating the right buyer persona for every stage of their journey is crucial to the success of your lead generation campaign. The last time I contacted a financial company via email it took approximately 4 days to get a reply, I had completely lost interest in them and I used another company instead. 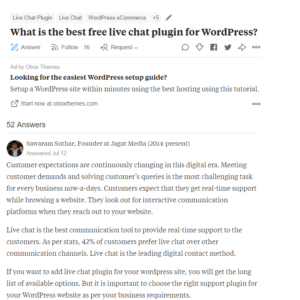 Live chat is a great way to engage your customers when they get to your website, guide them, answer questions, and understand their specific needs. A recent study by Forrester shows that 44% of online customers consider live chat as one of the most important features a website should have. Today’s generation expects a quicker response, faster resolution, and exceptional customer service. How Can Live Chat tool be helpful to generate leads? Live chat improves conversion rates: Visitors can quickly connect with the live chat agents if they face any issues. As a result, this reduces waiting time and increases customer satisfaction. Live chat gives real-time support to the customers which increase the chance of conversions. The more visitors, the more chances for the company to generate leads! Captures contact details of the customer: Before connecting the customer to the agent, you can let customer fill the form in which you can ask for his phone number and email Id. This might help you for follow-up and other lead generating aspects. Pro-active chat mode: When the same customers’ initiates live chat, you don’t have to ask again for their details, with such features the records are pre-saved with you. This helps to build the better rapport with the customer and indirectly helps in lead generation. Available 24*7: You can’t expect your visitors to contact you only in the particular part of the day. Therefore 24x7 live customer support helps you to create better number of leads. Of course, for that, you need to arrange your customer representatives’ shift accordingly. Here are the numbers to prove it. In a recent survey by eMarketer, 38% of online visitors purchased a product because of live chat, and 63% of customers who participated in the chat said they were more likely to return to the website. When most visitors come to your website they are ready to buy, but if there’s no one to guide them, to answer their questions, they can lose interest and switch to your competitor’s website. Live chat increases trust—having the feeling that you’re chatting with a real person is really satisfying. According to Virgin Atlantic, the average chat agent can cover the work done by 15 agents focused on e-mails and phone calls. Another case study shows that Virgin Atlantic reduced service cost by over 1,500% with live chat besides increasing conversion rate. You will not go wrong by using live chat to drive conversion. However, being consistent in your live chat channel is also important as well. Don’t jump in and out, just because you encountered bottlenecks on the way—deal with them and move on. Customer analytics: The first step is you need to understand your audience. With the CRM’s analytical tools you can get the data of your customer’s age, purchasing habits and geographical locations. You can use it to modify your outreach approach accordingly to generate leads. Social networking: One of the most effective methods to connect with your clients is through social media. You can post various surveys on the social media platform and store them in your CRM software. Nurturing your leads: Once you have the data, you need to outreach them efficiently. Your CRM’s email marketing software can help you to contact the right customers at the right time. Integrate your CRM with live chat software: With this, you can record and read chat history and conversations in your CRM tool and you will be able to serve the customer much better. With the proper use of Live Chat software and CRM, you will be able to generate more leads, apart from that it will also help you to connect with your customer in more scientific and professional way. You can also use other advanced tools like screen sharing, co-browsing, email marketing tool, etc. to generate more leads. According to bright local, “88% of respondents confirmed that they check and trust online reviews before trying something for the first time.” Plus 68 percent were willing to write a review when asked to. This second statistic is where you can really boost conversions and sales. Encouraging your existing customers to share their experience with your business is the best and effective way to boost your brand image and this will attract new customers. With this lead generation strategy, you will be able to build a long-term relationship with the customers and boost sales and revenue. Sounds odd right? Look like it doesn’t make sense to add a phone number. Even though your customers may not actually call, including your phone number on your website is a trust booster. It increases your credibility. 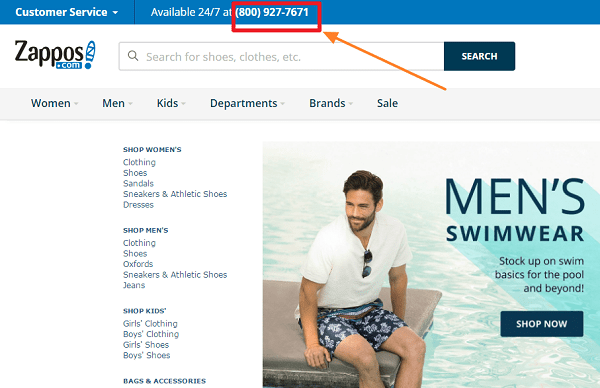 Adding a phone number at the top of your page (especially on the homepage) has been proven to increase conversions by up to 53%. Here’s an example from Zappos, the popular shoe store. There’s a phone number at the top of every page. Your customers can feel relaxed knowing that they can actually call and talk to someone in case they have issues with the product. So adding your phone number is something you should consider doing. According to WordStream, the top 3 paid Ad gets 41% of the clicks on the page. PPC or Pay-per-click is a model which helps in internet marketing. Here the advertiser pays a fee every time one of their ads is clicked by the customer. It can be considered as a tactic of buying traffic or visitors to your website. The best part about PPC is your ad can instantly appear on the first page and in front of the people who are searching for the solution to their queries. As a result maximum people get to know about your product. How is PPC helpful in generating leads? It brings more traffic to your website immediate keyword rankings. PPC gives faster and exceptional results if it is used wisely. It is important to properly analyze your keywords and your target market to achieve better ROI. Without adequate brainstorming, PPC can result in the waste of money. However, if you research on the particular things like your offerings, target audience and budget, PPC is one of the best lead generation strategies to generate leads and profit. When it is about grabbing the attention of your viewers, content is the best way to do it. Any content that is relevant, catchy, informative, interesting, and useful can easily convince your users to shop and do business with you. Remember, even if you can promote your product or service through your website content, do not use your blogs or videos just to do that. Instead, you can provide your viewers with valuable data and information about what you do and the market you serve to. There is a good chance that people will look up to you as an industry leader if your content portrays the same. Of course, you would like to present your product or service as a positive solution to a problem. Nevertheless, you can also provide an impartial view, on the overall subject, in which your company is the expert. Just check out how neatly Florida Power & Light is educating its users and is silently promoting itself through its website with several types of content. Once you know what to put in, the next question that crosses your mind is how to transmit it. There are several ways; you can choose to interact with your viewers. As you can see, you will never run out of ways to put and post your content. Just remember, you must post in relevant content on the right medium to portray whatever there is on your mind. If you’re not using testimonials and media content on your website, you're leaving so much on the table, as testimonials say a lot about your credibility and increase your trust ultimately. This is true, especially if your testimonials and recommendations are real, and from reputable individuals. GetResponse uses testimonials that are trustworthy on their homepage. Take a look. However, having a video form of testimonial or even pictures can send the message fast and will inarguably increase your conversion rate? Don’t the brick and mortar shops near you organize contests and competitions? Well, your website can also perform the same exercise. In fact, some marketers have been doing this for ages. Arguably, this form of marketing is quite popular as well. Users love it when prizes are on offer, and they like it, even more, when they have to win them! Termed by many as digital sweepstakes, it enriches their competitive spirit and helps you to generate the right attention. Just get them to write some slogan, taglines, participate in quizzes, post pictures, or share your content—and in turn, offer them something. Imagine how many active leads you can gain if you run these types of contests. You can also merge the theory up with sign up forms, surveys, and email listing. Offer your users the chance to enter a contest and sign them up. As prizes, you can offer discount and rebate coupons or even free items to some winners. Quite recently, Sephora started a quiz contest offering winners $400 worth of beauty products to the lucky winners. Apart from contests, your company can also invest its time and resources to start an affiliate marketing strategy. As per Econsultancy, 30% of associated members send almost 20,000 visitors to an e-commerce website every month. Companies often can hire affiliates to convert leads and boost their promotional program. Affiliates can easily bring improved sales numbers too, but if the plan is well targeted. Additionally, the member strategy is a very inexpensive program, as the scheme works on the commission basis. The scheme also prompts the affiliates to work effectively to promote your brand and bring you the leads—as performance only can provide them with their remuneration. It is a win-win situation for the companies. With 100 million unique monthly users, Quora is a very popular website where your company can camp to generate leads. Apart from answering all the queries of the users, the website also allows you to add links to your page so that you can indirectly market yourself whilst answering a question honestly. The process is one of the best ways to interact with your shoppers and generate leads. You just have to open up an account, be active, and search for a relevant place where you can get involved. Take an example of how Eventbrite used Quora to market itself while providing a user with an answer too. Yes, it is that simple to earn leads when you use Quora and help the people out. Another example of Acquire, where we are getting daily 20 to 30 visitors only from Quora because of one post that is on top. Apart from Quora, there are several other question & answer websites too. For instance, you can be active on answers.com, and Yahoo answers, etc. There are also several community websites from where you can generate leads by participating—for example; you can be active on Reddit. Newsletter: You can offer a weekly or monthly newsletter that is informative and include unique content. For that, you need to prepare eye-catchy one or two liners so that the visitor finds it worthy to give their details. 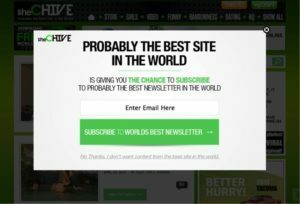 As you can see in the above image, the chive has creatively designed the Newsletter pop-up, which probably doesn’t stop yourself to subscribe to their newsletter. E-Books: Who doesn’t want free informative and resourceful eBooks? You can offer your customers handy eBook in exchange for their data that can help in lead generation. 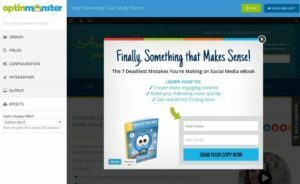 In below example, Optinmonster has beautifully designed the eBook offering pop-up window that is eye-catchy and effective as well. Whitepaper: The white paper is an effective way to not only generate the lead but also to impress the customer. You can convince your customer by offering them various ideas, offering, and content about your product or service. Below is another brilliant example of freebie offering by Nichehacks.com? They have accurately designed the pop-up window and offered the handy content. Clearly, define what a lead means to your business. This is very important. Do you consider anyone that signs up for your offer as a lead, or someone that fills out your contact form, or maybe someone that request a callback? Whatever your goal is, it’s important you define it up front. This is very basic, equally essential before you move on. It’s one of the most important metrics you can use to measure how successful your lead generation campaign is. Nowadays, there are a lot of done-for-you website templates for anything. However, when it comes to creating a good lead generating website, it’s important you make your website stand out. Invest in creating a top-notch design as customers will also perceive you to be credible if you have a nice website. As a proof that a custom and professional website design works, after redesigning their website, increased website traffic by 45% in the first year, generated 517% more leads year over year, and established their brand. So, your website should be clean, responsive, and user-friendly. Consider your website design as your first impression. If it doesn’t appeal to your customers, they’ll probably walk away. Using power words is a no-brainer. It works like charm since people actually want you to nudge them to take action. If you want them to subscribe to your newsletter ask them to subscribe. Most of your visitors will visit and if they don’t see words like “get”, “download”, “have”, and more, words that make them take action, they’ll walk away. Using powerful words to nudge your target customers is very important. Adding trust seals to your website will increase your customer's trust for your brand and can encourage them to do business with you. Most importantly, use trust seals that give your customer a guarantee. OrientalFurniture.com increased their conversion rate by 7.6% by adding the BuySafe guarantee. The BuySafe seal guarantees the delivery of purchases up to $500 and also offers $10,000 guaranteed protection if customer’s identity is stolen on the website. You should use trust seals that actually guarantee something as strong as these. Persuade your potential customers to fill your forms by placing them on every page; vantage positions where they can easily find them. This is true, especially if you use visual cues like arrows to tell them where to look. Also, have fewer form fields will increase the number of subscribers, since they don’t have to fill too many details in. In most cases, their first name and email address could be just what you need. That’s exactly what David Siteman did on his homepage, and his opt-in rate went through the roof. Companies extensively use personalized emails as a strategy to generate leads and business growth. Personalized emails have the capability to touch the readers humanly, and these emails are much more engaging than general robotic emails. A great example here comes from the stables of Netflix. Many people spend more time searching the right movie/content to view on Netflix rather than watching something with it. Netflix, hence, sometimes provides an option to run or add a particular movie on email to users in a personalized way. 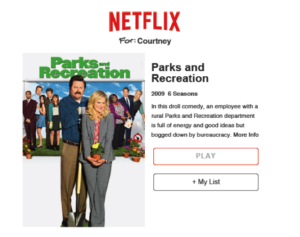 Netflix knows the importance of providing personalized emails, as people cherish good suggestions from companies, which in turn generates positive leads for your organization. However, then arises the question of what is the best way to generate an email list to promote your content in a personalized way. 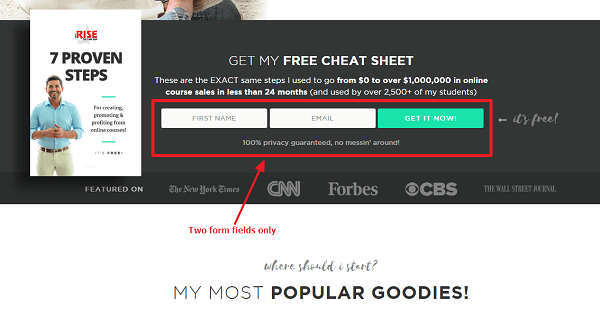 Astonishingly, using a pop-up box is one of the easiest ways to procure emails ids. Just remember to make a box that is attractive and has an easy to locate and use the exit button—if someone does not want to engage with you. 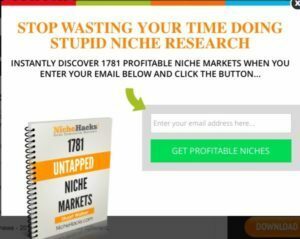 As per this study conducted by a blog, a website generated 1375% more registered email ids thanks to the installation of a pop-up box on the homepage. 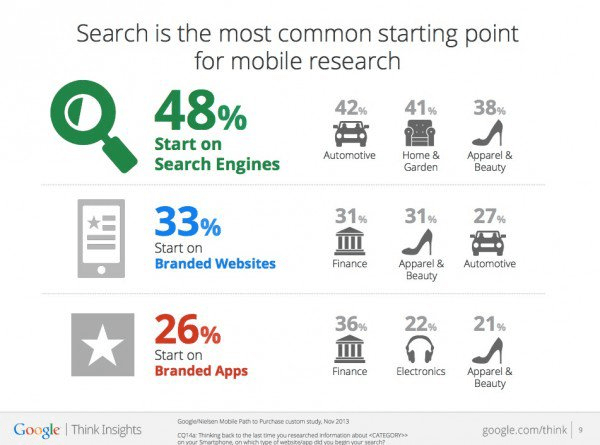 According to Think with Google, 48% of a mobile customer’s research starts with a search engine, and about 48% of customers say they feel frustrated and annoyed when they land on websites that are poorly optimized for mobile. As the days go by, more of your target customers are using mobile devices to find you and to read your content, it’s important you make your website mobile-friendly. Optimize your website for mobile, make it responsive, easy to navigate and nice on mobile devices. The lead scoring system allows you to prioritize your leads according to their engagement with your content. Not all leads are ready to buy at the moment, segmenting them according to their engagement levels in the buying cycle is critical to your success. Set up your lead scoring system such that you’ll not only know who is ready to buy but also know exactly what your leads are interested in. Sadly, over 79% of B2B marketers have not established a lead scoring system. Having an effective lead scoring system will allow you to focus on your most engaging leads, while you continually nurture the leads that aren’t ready to buy now. This will allow you to save money and time. Now you have all of these best practices, without experimenting them yourself in your own system you’ll hardly see exactly see what works for you. Test your CTAs, test the colors that convert the most, test the lead magnets that convert best. Test and continue testing until you find what works best for your target audience. Having the best B2B lead generation strategies in your arsenal is one thing; however, Implementation is the best and most important part. Be sure to test and implement these best practices as they’ll help you acquire more leads, make more sales, and increase your business profitability on the long-run.